Rising rents and low wages are putting an increasing amount of pressure on the UK’s private renters. Analysis by the Cambridge Centre for Housing and Planning Research for the Joseph Rowntree Foundation (JRF) found that more than 40,000 tenants in England were evicted in 2015. The shocking figures equates to around 100 tenants being evicted from their homes every day. With pressure not only on tenants who are struggling to pay their rent and other living costs, there is also a financial strain on landlords, who are finding it increasingly difficult to pay mortgages on the properties they let. But how can landlords help sustain their tenancies? We examine ways that landlords can help support their tenants and reduce the amount of evictions and void periods. What is a sustainable tenancy? A sustainable tenancy is a tenancy which can be maintained successfully throughout the tenancy period. In order for this to happen, certain criteria needs to be in place and met during the rental period. For example, the property must be appropriate for the tenants’ needs, and repairs and maintenance issues must be resolved as quickly as possible. Failing to do so could lead to tension, and tenants refusing to pay rent until the matter is sorted. It’s also crucial that tenants fulfill their responsibilities by paying rent on time and looking after the property in order to help maintain a harmonious tenancy. What issues do private renters face financially? The research by the Cambridge Centre for Housing and Planning Research confirms the issue of unaffordable rents and changes in welfare benefits have had a significant impact on tenants struggling financially. Housing benefits have not risen in line with increasing rents since 2010, and this often results in benefits not covering rent. It has been found that tenants are facing an average shortfall between £22 and £70 a month outside of London and between £124 and £1,036 in inner London. The struggle with housing benefits is not the only financial strain many renters are faced with. Low wages and salaries are putting more pressure on tenants, with many falling below the national average of £539 per week. Cities such as Wigan, Bradford and Huddersfield all fall short of the national average by around £100 a week. How can landlords support tenants? 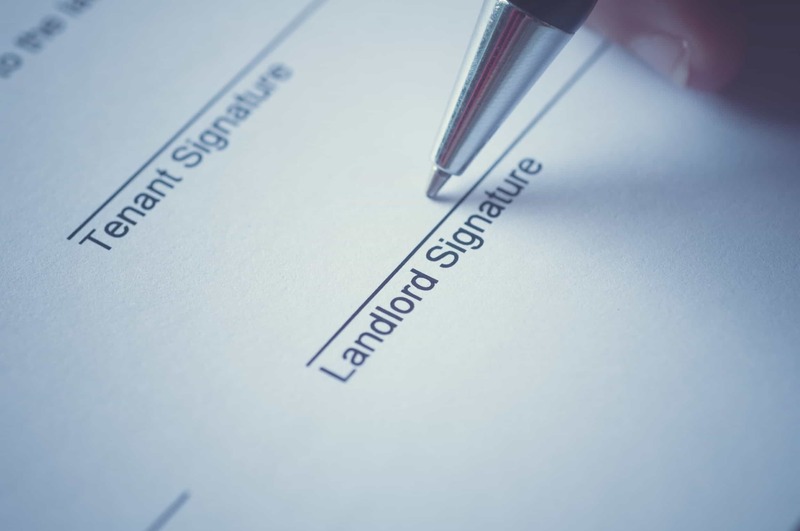 There are steps that landlords can take to help sustain tenancies. The housing charity, Shelter, warned in 2017 that more than one million private renters risk becoming homeless by 2020 due to rising rents, lack of social housing and benefit freezes. There are ways to help support tenants and reduce the number of evictions, which is beneficial both for tenants but also landlords. Communication is key in helping a tenancy run as smoothly as possible, on both the tenant side and landlord side. If rent is late, it is crucial that landlords open a line of communication with their tenants to understand why there is a late payment with rent. By doing so, landlords and tenants can work together to sort alternative payment plans to reduce the financial risks involved for the landlord and tenant. A line of communication must be a two-way system, so it’s just as important that tenants are open with their landlord about issues with the property and any financial issues which could have repercussions for rent payments. Communication between a tenant and landlord is best made through writing, as having physical copies can help further down the line if legal action needs to be taken. Knowing who to turn to for help and support is key to sustaining tenancy agreements. For landlords, turning to solicitors and the courts can help regain possession from tenants who are in rent arrears. Although this is usually a last resort and saved for extreme circumstances, it would be useful for landlords to have access to floating support services they can refer tenants to. Floating support is a flexible service which helps tenants secure and maintain their tenancy by offering support and advice. The main catalyst for failing tenancies is the tenant’s financial situation. It’s important to establish a line of communication between both tenant and landlord during the tenancy period to ensure any issues are caught early. Evictions and legal action are usually the last resort for most landlords. However, it can sometimes be the only way of getting a property back to start the process of creating a new tenancy. If you are a landlord who recently received your property after an eviction and want to sell your property quickly, contact one of our experienced surveyors here at Good Move who will be able to assist you.